What started as an effort to raise $2 million for the construction of a Toronto, Ontario Pavilion in the new Medical Center in the 1970’s by a few of the largest industrialists in the Toronto Jewish Community, soon grew into a national organization. Since becoming a national registered charity in 1975, the Foundation has centralized its fundraising efforts with a head office based in Toronto. The organization engages donors across Canada through events and specific fundraising initiatives. 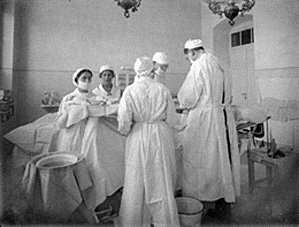 For close to 110 years, Shaare Zedek Medical Center has been providing top-level medical care for the people of Jerusalem. Since opening its doors as a 20-bed hospital on Jaffa Road in 1902, the hospital has provided services crucial to the city’s development. Named after the inspiring biblical term “Gates of Righteousness,” Shaare Zedek has responded to the needs of Jerusalem’s uniquely diverse population from its very first day of operation, treating patients of every race, religion and nationality. 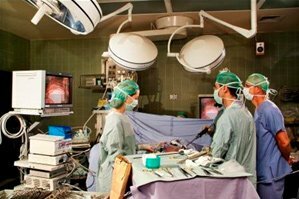 Thoughtfully combining a healthy blend of advanced medicine with compassionate care, the hospital has become recognized as a highly sought after medical provider throughout Jerusalem, Israel and the broader medical community. Contemporary Shaare Zedek is located on a vast, 11-acre campus directly opposite Mount Herzl, making it Jerusalem’s only major, centrally located hospital. The hospital complex, completed in 1979, comprises ten interconnected buildings and an expansive parking area. Since occupying the current location, Shaare Zedek has transformed itself from a respected regional hospital into a major multi-disciplinary medical center with an international reputation for excellence in many areas of expertise. With a constant commitment to developing increasingly innovative means to provide patient care, the 700-bed facility treats hundreds of thousands of patients per year in its thirty inpatient departments and 70 departments and units comprising its out-patient clinics. The Wilf Woman and Infant Center welcomed over 15,000 babies into the world in 2012 making Shaare Zedek the most active maternity department in the country. From the heart of the Shaare Zedek complex reins the ten-story main building. The first three floors house the hospital’s most vital services, including: the operating theaters, Emergency Room, pharmacy and medical and sterile supplies. These units are all intentionally located beneath ground level to ensure the uninterrupted continuation of all life-saving activities even in the event of war or hostile attack of any kind. Under unfortunate circumstances, the hospital has gained vast experience in dealing with diverse types of trauma and emergency medicine by treating casualties of terrorism in recent years. During this period, the hospital strengthened its historic relationship with the Israel Defense Forces. 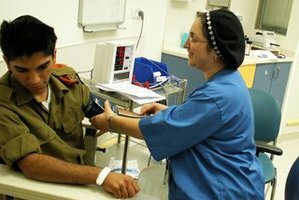 Today Shaare Zedek serves as a peacetime military hospital, treating more than 12,000 soldiers a year. The hospital also collaborates with the IDF on emergency preparedness and is the designated regional center for the treatment of victims of chemical and biological attack. 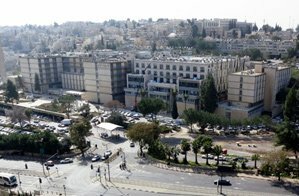 A highly esteemed academic and research institution, Shaare Zedek serves as a teaching hospital fully academically affiliated with the Faculty of Medicine of the Hebrew University, Jerusalem and additionally teaches medical students from Ben Gurion University of the Negev, making it the only hospital in Israel providing extensive teaching to two out of Israel’s four Faculties of Medicine. This relationship has been mutually enriching and has served to advance research and teaching as top priorities alongside patient care. Shaare Zedek receives no financial support from the Israeli government. It relies on the generosity of friends around the world in order to fund and carry out research, upgrade vital equipment and continuously maintain and further expand its facilities. 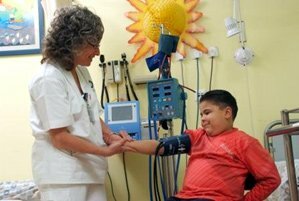 In embracing the vision of compassionate and technologically advanced care that has characterized Shaare Zedek since the earliest parts of the twentieth century, the hospital proudly stands at the medical forefront both in Israel and around the world.